Nokia Lumia 601 Windows Phone Leaked? 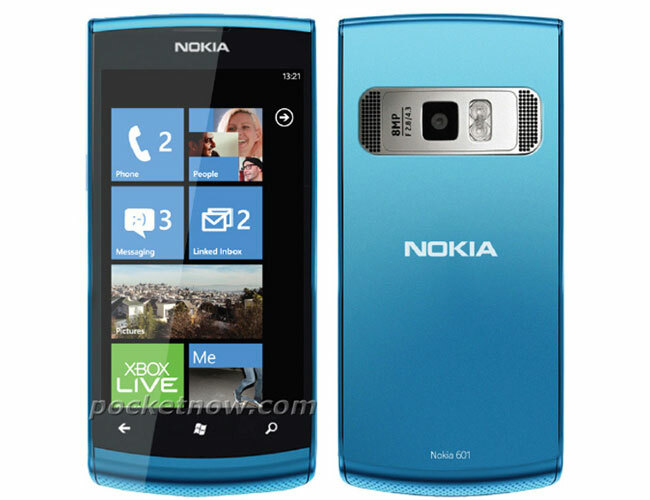 Nokia has officially announced two Windows Phone devices so far, the Nokia Lumia 800 and the Lumia 710, and now we have a leaked image of what may be he new Nokia Lumia 601. The photo below was obtained by the guys over at Pocket Now, and it looks like a render of a new Nokia device which we haven’t seen before, the Lumia 601, although we don’t have any actual specifications on the device. We are not 100 percent sure this is a real Nokia Windows Phone device, as it could quite possibly be a Photoshop, as soon as we get some more details we will let you guys know.